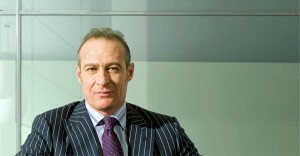 Tonucci & Partners is one of the largest Italian independent firms. Founded in 1994 and headquartered in Rome, the firm’s operations and practices are international. Tonucci & Partners’s six offices in Italy, Romania and Albania ensure that domestic and foreign clients have access to prompt, reliable and customized legal services for their Italian and Eastern European activities. Additionally, we have consolidated working relationships with leading foreign global law firms with offices in the most important markets in Europe, Asia and the Americas. Through this network Tonucci & Partners’s clients have direct access to local market expertise on a truly global basis. Tonucci & Partners’ work focuses on complex cross-border and multi-jurisdictional transactions and litigation. We have significant experience in corporate and financial transactions; civil, criminal and administrative litigation; public tenders and procurements; telecommunications and information technology; EU and antitrust matters; employment; and tax. Tonucci & Partners has also acted as legal advisor in major privatizations in the banking and telecommunication industries in Italy and abroad. Our client base includes domestic and foreign corporations active in a wide range of industries, financial institutions, governmental entities and individuals requiring personal legal services. Tonucci & Partners’ lawyers include professionals admitted to practice in Italy, Romania, Albania, England and Wales and New York. Several of our lawyers have received post-graduate legal education and training abroad and have previously worked for other leading international law firms, multinational corporations and financial institutions. The firm encourages the academic activities of its lawyers and many of them hold university teaching positions. Tonucci & Partners’ working languages are Italian, English, French, German, Spanish, Romanian and Albanian. Tonucci & Partners’ geographic reach, the quality and experience of its lawyers and its diverse client base make it an ideal partner in finding legal solutions tailored to each client’s individual requirements. The firm’s mission is to look beyond the legal aspects and help clients meet the challenges of their continuously evolving businesses.